This petition has been created by Patrick H. and may not represent the views of the Avaaz community. GSK was peddling a diabetes drug they knew was causing heart attacks without informing doctors or patients of the risk. Regulators in the EU knew about the dangers but failed to act fast enough, putting lives unnecessarily at risk. UK regulators knew about anti-depressants causing suicide but took over ten years to do anything about it. The same complacency is happening again with new anti-depressants and other drugs with just as bad adverse reactions. There are five times as many suicides in those diagnosed with depression over 65 taking anti-depressants than not, according to the British Medical Journal. Some become homicidal. In the US GSK pleaded guilty to criminal charges relating to anti-depressant and diabetes drug frauds and agreed to pay a $3 billion fine. 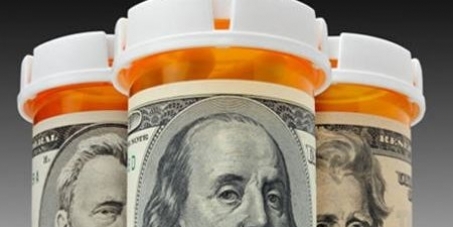 That brings total fines against big pharma in the US to almost $10 billion! But no fines in the UK or EU despite the same companies and drugs. PPI antacid drugs, now advertised on TV, inhibit absorption of B12, a known risk factor for Alzheimer’s that is being ignored. Why do we put up with it? A massive push from thousands of people right now will add to pressure from the media and force regulators to act faster and more decisively against dangerous drugs. As a citizen of the UK I need to know that my family and I are safe and that drug companies put patients before profits. But drug companies will only do the right thing if regulators force them. Let’s join together in a gigantic outcry for the UK’s Medicines and Healthcare products Regulation Agency and EU’s European Medicines Agency to put safety first. Sign the petition!